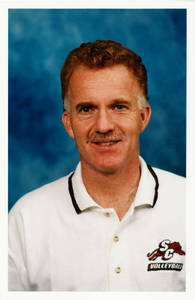 American coach Joel Dearing spent 30 years coaching the women's team at Springfield College in NCAA Division III. He also coached the Springfield men for 7 years before handing them off. All of this was while teaching. Joel is one of the most respected coaches in the Northeast of the USA, not only based on the performance of his teams, but also for his efforts in helping other coaches develop. AVCA Regional Coach of the Year 5 times.